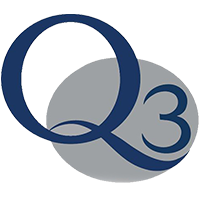 Q3 Academy is a government-funded educational institution specialising in Design and Enterprise. Opened in 2010 with state-of-the-art facilities, the academy caters to children from 11 to 18 years. With approximately 1,100 pupils, the ICT department serves around 900 devices throughout the Academy. The Academy needed to replace its user management system as it no longer met their requirements. Gary Watkins, Network and Systems Manager at Q3 Academy, talks about the need to introduce a new solution for user management; "Initially we needed a piece of software that would enable us to provision users. In the long term, we needed to be able to automatically create users and necessary files, folders and email from our SIMS system. We needed software that would integrate with the SIMS system, relieving ICT support of that necessary role, freeing up time within the ICT Support team. The IT department was very stretched with a high volume of user account related changes." The Academy needed a system to relieve the ICT department of lengthy user account management processes, so their time could be better used on proactive management of the network. UMRA was used to integrate with SIMS as well as Microsoft and other systems. They found the solution to be excellent for provisioning of public folders based on a database of users and setting required permissions and individual permissions. Gary Watkins comments; "We chose Tools4ever because of their friendly and professional approach. They were always willing to help and were very prompt with support. We were looking for a company that would be adaptable and cater to our needs and requirements. Tools4ever more than fitted that bill." "We were working to very tight deadlines, but Tools4ever were extremely flexible and more than happy to work around schedules to accommodate our needs." With UMRA's automation functionality users and necessary files can be created automatically. This has helped to improve the way the ICT department manage their workload, and has enabled management to focus on more crucial issues regarding the running of their network, rather than on lengthy user-provisioning processes. At the beginning of the academic year the ICT department would normally be inundated with thousands of user account issues. However, this process is now fully automated, saving the Academy valuable time and money. "At the beginning of the academic year accounts have to be updated and created on mass which can take a great deal of time. With UMRA and Automation, this situation will be a thing of the past. We will be able to see and reap the benefits year on year." explained Gary Watkins. They also found UMRA useful for creating DIDA folders. At the start of the academic year the ICT department would normally need to create around 600 folders with individual permissions. This was a very slow task to do manually, taking days to complete. However, with UMRA this process was reduced down to just a matter of minutes. Gary Watkins explains; "With UMRA, once you've done the creation of the project, it only takes 5 minutes and you can keep re-using them year on year. This has saved us a great deal of time and therefore money." They also found Tools4ever's User and Computer Account Cleaner to be very useful for importing user accounts. The academy are now looking into some of Tools4ever's other solutions, particularly at their Password Synchronisation Manager and Policy Template Editor products. They are also very keen to use UMRA as part of their expansion plans for the future. "The road map for the Academy is to take on other schools and possibly support other feeder schools. I would like UMRA to be part of that." Commented Gary Watkins. He added; "I would have no hesitation in recommending UMRA and Tools4ever due to the flexibility of the software as well as the helpfulness and professionalism of the team."